Sushi, Turtles and Life: I had to call the police today. I had to call the police today. Yesterday, there was a small incident. A confused old lady came to the house asking for her husband. She seemed lost and wasn't responding to my questions. I didn't want to leave her on her own but didn't want to make her feel threatened by following her as she was very frail. I decided I needed help and couldn't find the local police number so rang 999. I'd hate for anyone to be in a position where they didn't know how to help someone or the procedure needed. So here's what you need to say in an emergency. This is the number I should have called today, I saw an advert on TV but couldn't remember the number exactly. So put it in your phone so you can't forget. If your out at sea. When you ring 999 you will be asked "Emergency, which service do you require? Fire, Police or Ambulance?" You should try to stay calm and state which service you need. Then give your address, the sooner you state your location the faster help will come. 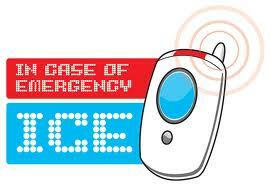 You may be asked to give your number incase the line is lost, emergency services can ring you back. Then you will be asked a series of questions about the problem, patient, their age, if they're breathing and how many people are involved. If your call isn't urgent you will be transferred to a Nurse advisor who may give you steps to stabilise the patient. This ranges from assessing the situation, recommending seeing a GP or sending an ambulance. In the case that you need an ambulance the nurse will give you guidance until they arrive. To help staff get to you as quickly as possible have someone waiting to meet the ambulance and show them the way. If there aren't enough people around shine a torch, turn car lights on or wave your arms. A great tip for students new to an area or just anybody. Save a nominated person, your parents or other half's phone number and contact details in your phone but rename it ICE. This is a quick way for someone to check your phone and send for help if they didn't know you or if you've got nicknames in your phone book. It stands for In Case of Emergency. This is a great point. We're often told about but I.C.E but rarely do it. Good shout out for students. Using £50 Wisely, on more clothes. Furry leg warmers, Bikini spiders...Hairy Ladies. DIY peter pan collar - Guest Blog! Moving out to uni? My top 10 tips. BigMacs at home - recipe. 5 Outfits for back to University. Vanity over health? Hoof Heels.